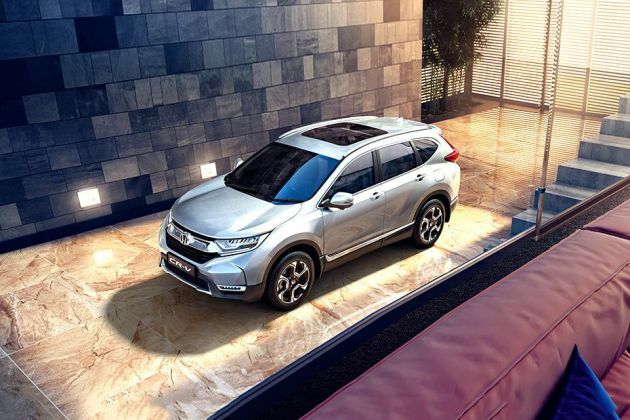 Honda CR-V is available in 5 different colours - White Orchid Pearl, Modern Steel Metallic, Golden Brown Metallic, Radiant Red, Lunar Silver. Honda CR-V is a very good car and very comfortable. The engine is powerful as well. It is a good car and people use this car daily in life and professional life. The car's performance is exceptional. A powerful engine as well. Its a very good car, lot of comfort and luxury, very smooth to drive, good mileage. Good for daily use, ground clearance is less when compared to its competitors. Good car, very comfortable, good mileage and airbags, leather seats. All the features of this car are excellent. Honda CR-V is Awesome car. Also, it is very spacious and luxury.